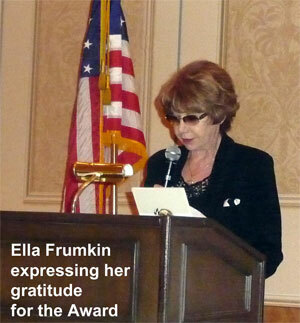 Ella Frumkin, Director of Southern California Council of Soviet Jews, was invited to a Weekend Gathering of Holocaust Survivors and Their Families on December 18, 2009 – December 20, 2009 in Las Vegas. 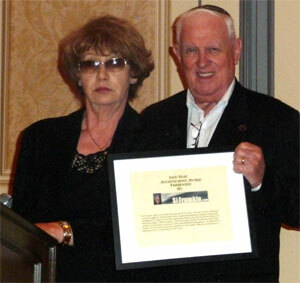 The generous Host and Organizer Mr. Eugene Lebovitz together with outstanding activist Renee Firestone presented Life Time Achievement Award to Si Frumkin. From Celebration of the Generations 2009. The book "Holocost DID Happen" IS HERE!! 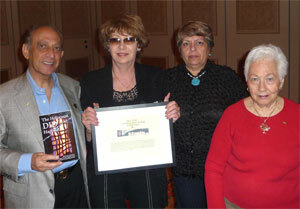 The book contains life stories of Holocaust Survivors from the former Soviet Union. The originla was published in Russian. It has been translated into English thanks to generous donation of Mr. David Zimberg. Now the book is in the final prepublication stage. A very talented young man Joseph Goltsev volunteered to do the proofreading of the book. 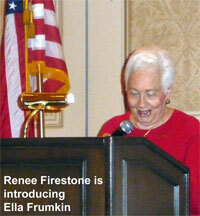 If you would like to purcahse the book online,please click here, or contact us directly at esfrumkin@roadrunner.com.